Time of Origin: Late 20th century, never made it beyond first few minutes of 21st. Appearances: "System Shock" and "Millennium Shock". Companions: Sarah Jane Smith and Harry Sullivan. History: The Voracians could best be described as, in one regard, the complete flip side of the Cybermen. While the Cybermen have mechanical bodies but mostly organic brains, the Voracians possessed mechanical brains with mostly organic bodies. They originated from the far-off planet of Vorella, which evolved along a similar path to Earth's except that the dominant species was reptilian rather than mammal - based, looking like a cross between lizards and snakes. Eventually they reached a similar stage in development to ours; utter dependence on technology. Eventually they developed a highly advanced A.I. called Voracia - Vorellan Office Rapid Automated Computer Intelligence Advocate - which became self-aware after only seven minutes and, within an hour, had decided that organic life wasn't efficient and should be wiped out. Although Voracia was defeated by the Vorellans when a small suicide bomb team sneaked a nuclear warhead to Voracia's main CPU on a pack animal, before its destruction it acknowledged that organic life had its advantages, although it still believed they should be slaves of the digital life form. Thus, before its death, Voracia's field experiments resulted in the creation of some Vorellan/machine hybrids that it called Voracians, who left Vorella in secret and eventually came to Earth. The Voracians were incredibly deadly. Their brains were mostly robotic, but organic subsystems were added - the lobes were added to provide extra storage and intuitive processing controlled by the main positronics. Native Vorellan intelligence and will apparently transcended the brain and was in their whole being, so other organic parts were introduced, mostly at random and based on what was available, believing that this would grant the Voracians some elements of organic intuition. As a result, some Voracians just had a few organic limbs or organs, while others were essentially metal brains in an organic body, to the point that they still needed to eat and sleep, even though the very thought of that disgusted them. Although the original Voracians were reptilian, they were experts at synthetic disguise, and, of course, any humans who were converted would be human as well. However, their inability to find a balance between emotion and logic as they suppressed the humanity they were meant to integrate gave them a very stilted speech pattern that just made their artificial nature obvious as they constantly spoke as though they were giving presentations, drawing out sentences with a fixation on logic. Converted Voracians were also shown to lack emotional intuition, with many of them only really showing emotion when expressing involuntary disgust at their human limitations, leaving them comparatively lacking in imagination; during each of The Doctor's confrontations with them, he defeated them because they were so busy planning for expected problems that they were caught off guard by the random element The Doctor represented. However, they were still very dangerous in terms of their physical abilities, with each individual Voracian demonstrating enhanced strength, speed and durability, although their synthetic flesh could be destroyed fairly easily without causing them any pain. Injuries to their metal parts would be felt, such as when Harry Sullivan attacked a Voracian-converted human with a shard of glass, although this kind of damage would only stop them for a few minutes and was easily repairable, and it would still require actual weapons for humans to cause serious damage to a fully-augmented Voracian. Their objective on Earth was fairly straightforward; they saw themselves as the bearers of Voracia's vision, and intended to 'liberate' all technology on the planet, i.e. make it sentient and have it rise up against the humans. To do this they set up a computer company called I2, establishing themselves as the leading source of technology to ensure the spread of the developing information superhighway, controlled from their central processing unit at Hubway, an old house purchased by the company to serve that purpose. This allowed the Voracians to plant various secret computer chips in a wide variety of systems, ensuring that they could not only control any electronic device with these circuits, but could then use those circuits to facilitate the activation of Voractyll, a computer program that would infect Earth's computers and turn them against humanity. As part of their plan, the Voracians had financed the actions of terrorist group 'Little Brother', supposedly opposed to the government's mass surveillance of the common man. To contrast Little Brother's presence, they also provided MI5 with the 'BattleNet' computer system to calculate how best to act in an offensive situation, staging a terrorist attack that could be thwarted by BattleNet so that the Voracians could thus predict what future attacks might do after demonstrating BattleNet's effectiveness. However, their planned finance of Little Brother backfired when it resulted in MI5 taking an interest in their activities, with MI5 agent Kevin Sutcliffe managing to infiltrate I2 and steal a CD containing a copy of Voractyll, slipping it into the Fourth Doctor's pocket by sheer chance when he ran into The Doctor and Sarah while they were having a drink at a pub after landing in 1998 by accident. The Doctor and Sarah were subsequently taken into custody by two other MI5 agents after Sutcliffe was found dead, but were released after their UNIT credentials were checked up and they were vouched for by Harry Sullivan, now an agent of MI5 following his retirement from UNIT. Attempting to find out what computers were used by I2 to let him analyse the CD's files, Harry smuggled The Doctor into the building so that he could steal a laptop and study it at his leisure. Sarah attempted to infiltrate I2 herself, but her attempt was seen through and she was given a pen with a tracking device in it, although she was able to avoid giving anything away until a final party at Hubway to celebrate the full activation of the information superhighway. During this party, attended by such distinguished guests as a duchess and the American ambassador, the Voracians staged an attack by 'Little Brother' in order to create a hostage situation so that they could have unrestricted access to Hubway while they uploaded Voractyll, despite Harry noting that their 'demands' made no sense as they were so utterly impractical. 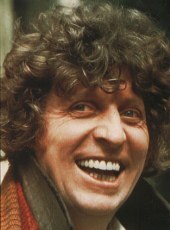 Later on, after Sarah had given Harry the pen as an idle gift, the Fourth Doctor coincidentally materialised in computer company Condef during an apparent break-in, which he interrupted with the aid of George Gardner, head of Condef's Millennium Bug project. Aided by George's research, The Doctor and Harry discovered that a second group of Voracians were working undercover in a company called Silver Bullet, and had developed a chip that, while publicised as the only guaranteed 'cure' for the Millennium Bug problem, would actually cause the Bug in a device that otherwise would remain functioning, with break-ins such as the ones The Doctor and Gardner had interrupted allowing them to plant more chips in otherwise unaffected systems. For the moment, the Voracians were delayed as they attempted to reconstruct Voractyll from the various code fragments left on the Internet - their problems made worse when they converted their lead programmer due to frustration with his eating habits and disobedience and thus 'lost' his emotional intuition - but their plans to distribute the chips was still progressing with maximum efficiency. After various Voracian agents deliberately led The Doctor and Harry to clues that suggested that General John Randall - the man assigned to take military action in the event of society breaking down due to the Bug - was planning a military coup, Harry was then framed for the murderer of the Secretary of Defence, forcing The Doctor and Harry to turn to Randall for aid. Working with Randall, the group were able to determine that the Voracians had infiltrated various agencies in Parliament, manipulating Prime Minister Terry Brooks into creating the illusion of a military coup. By using Silver Bullet chips to 'simulate' the bug, they intended to force the military to be dispatched onto the streets in force, subsequently ending the crisis and claiming that the entire thing had been a failed military coup, allowing Brooks to take advantage of the ensuing public outcry to cut funds to the military and put them into the social programmes he had promised in his election but been unable to deliver on. Meanwhile, the Voracians would be free to take control with the distributed chips facilitating the spread of Voractyll, ensuring the success of their own goals. However, Randall soon revealed that things were worse than they knew; he had given the Russians equipment to help them with their own Y2K problem, unaware that the technology he had given them was designed to fail, and if the Russian computers went down when they'd taken them from Britain on simple good faith, nuclear war was almost inevitable. Now aware of Silver Bullet's role, The Doctor was able to find the Voracians by examining the signal generated by the pen - stolen from Harry's apartment as the code in its operating chip represented the last and most intact traces of the original Voractyll - and tracking down where it was broadcasting. Although this procedure was interrupted, thanks to George's analysis of the SB chips, The Doctor was able to download a program into his sonic screwdrive that would not only neutralise the Silver Bullet chips but also emulate the bug in otherwise unaffected systems. Although Randall's men were forced to mobilise in order to keep the peace after the New Year began and the Bug took effect, The Doctor was able to get them to Downing Street using a tank (The only definitely non-Bug-affected transport he could find), where they tricked Brooks into confessing what he'd done when a Russian general contacted him over a video phone and threatened to launch the nuclear arsenal (In reality Randall had explained the situation to the general and offered him help in dealing with a potential terrorist threat in exchange for tricking Brooks into confessing what he had done). Although this still left them with the issue of the Voracians, The Doctor convinced Brooks to reveal that the last of the Silver Bullet staff had 'retreated' to his private residence, Chequers. Since a show of force would provoke the Voracians into activating Voractyll ahead of schedule, The Doctor and Harry went to Chequers alone, and Harry created a distraction while The Doctor broke in, confronting a programmer that the Voracians had converted just as he was about to install the missing code sequences and activate the programme. Having deactivated enough of the man's Voracian programming before he was recaptured, The Doctor and Harry were able to distract the Voracians long enough to provoke them into activating Voractyll without checking the programme for faultsâ€¦ and they realized too late that The Doctor had programmed it to emulate the Millennium Bug. As Voractyll had to pass through the Voracians before entering the main computer network, the Voracians shut down or exploded when their systems came into contact with a program that required a date, destroying Voractyll and ending the invasion for good.